As cannabis becomes more commercialized, this non-profit for military vets is stepping up its game. When U.S. soldiers return home from war, they often find themselves on the frontlines of a new battle: finding medical relief within a system that only offers FDA-approved pharmaceuticals. Things aren’t always so democratic or sensible back home in the states, despite the sacrifices these troops made when fighting for our country abroad. Founded in the San Francisco Bay Area by a Marine Corps veteran, the Weed for Warriors Project brings together veterans who find solace in cannabis and need like-minded peers to share their experiences with. 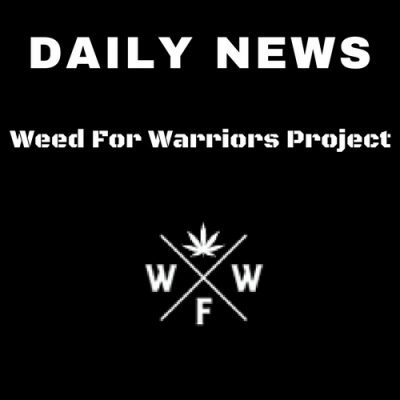 In the past, Weed for Warriors has used its network to connect veterans to affordable or free cannabis products. However, with Prop 64 – the law that regulates commercial sales of adult-use cannabis in California – launching in January 2018, giving away cannabis products for free is no longer an option. Aside from the obvious profit motive for the cannabis industry, the state government has a tax revenue motive as well. By forcing all cannabis products to be tracked, logged, and taxed at sale (as high as 45 percent including local taxes), veterans and other impoverished patients, who often scrape by on disability checks, have few options left to procure affordable cannabis medications. Sean Kiernan, 45, is the current president of Weed for Warriors. From 1989 to 1993, he served in the U.S. Army as airborne infantry in Latin America. After leaving the Army, he worked as a hedge fund manager on Wall Street. Everything went relatively smoothly until 2006, when the mental and emotional trauma from his combat experiences finally started to catch up to him. Veterans Affairs (VA), the federal department that handles medical cases for U.S. soldiers once they’re discharged from service, prescribed Kiernan – as it has thousands of others veterans – a cornucopia of pharmaceuticals. In 2011, Kiernan attempted suicide, which prompted some of his friends to recommend cannabis to him over the VA’s drugs. However, cannabis is still a crucial therapy for many veterans like Kiernan – it can control and manage pain, nausea, depression, mood swings, anxiety, and insomnia – without the nasty side effects that come from conventional pharmaceuticals. Would like more info in regards to memebership and more…. My husband is a disabled 82nd Airborne Veteran. I would like more information on how he can become a member please. Thank you very much, and Thank you for your service. Thank you for your message. If you can send me your location, I will find you the closest chapter and send you a contact email address. Thank you for contacting us.